It is fantastic to see the amount of activities and initiatives that have been launched lately with the objective to move into a more sustainable society. But what about all the current activity? Of course the current activities are not all in vain, they definitely increase knowledge of Sustainability and the effects our current activities and society have on our planet – problem is that they deal mainly with the “symptoms” and far too little with the cause. Many activities also assumes, more or less, that we can continue the current “western” lifestyle if we only can limit some of the negative effects from it – an assumption that, put together with the reality that we are most likely already past or at “the edge” of some of our planetary boundaries, that billions of people are to develop out of poverty in the next decades and the latest projection from UN (Link), that we will be 9.6 Billion people already by 2050 – is very UNREALISTIC. 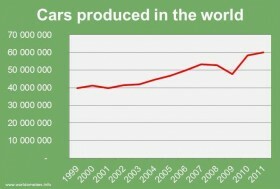 In 2010 we surpassed 1 billion cars in the world. After a 9% decline in 2009 (due to the 2008 global financial crisis), global car production immediately jumped back the following year with a 22% increase in 2010, to then consolidate at the current 3% yearly growth rate. Vehicle penetration in China still stands at only about 40 vehicles per 1,000 people, compared with approximately 700 vehicles per 1,000 people in the mature markets of the G7. If car-manufacturers decrease the energy-consumption in their production processes, increase their CSR-activities in the factories etc. as an effort to make their process more “sustainable”, in the eye of the public, is of course good – but it is hardly going to make any over-all difference. In fact, more efficient car production would probably only reduce prices (if not added to shareholder profits) and thereby increase availability and growth-rate. Not to mention the enormously increased need of all other resources (raw metals, plastics etc.) necessary to produce cars. This week in Sweden the yearly event “Almedalen Week” is held in Visby. It is a political and democratic opportunity-week focusing on “societal issues” with approximately 400 events and seminaries held each day. In 2012 there were close to 17,000 visitors and 20,000 expected this year. A Sustainable Society, Energy-issues, CSR are among the subjects on the agenda. 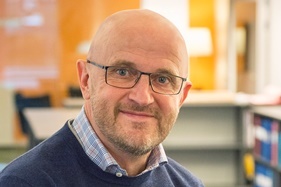 Words like “Competitive Advantages”, “Increased prosperity”, “Regional Growth” are quite common, advertisers in the program-leaflets span from political parties to Volvo promoting their “Super Green Car”. The event as such is an excellent and well organized opportunity to network and debate with a lot of decision-makers and influential people from all across the Swedish society. In a recent survey by Reputation Institute, Sweden was ranked as the #2 most reputable country in the world. In surveys on quality of life and prosperity Sweden “often” is rated among top 5. Being a Swede, I am of course proud of this, but at the same time when the ecological footprint for Sweden is calculated it shows that, if everybody on the planet should live the “Swedish Lifestyle” we need 3.5 planets – and we only have ONE! Consumption is the answer to everything and anyone that can’t keep up is relegated to the “dump”. If someone dies – buy funeral flowers or donate to some charity. If you graduate from school – throw a graduation party or attend to some expensive “prom”. And this goes on for ever, eagerly supported by corporations and governments since the current economic model is relying on continous economic growth to pay its debts. It is somewhat tragic to see how the excessive consumerism, in many cases to fulfil the “misguided needs” in the upper half of the hierarchy, is now increasing our difficulties to fulfil the basic needs, when Climate-change, water-scarcity, availability of resources etc. are becoming more crucial and acute issues, if our society and future generations are to survive on this planet. We need to define and promote new role-models based on how our society needs to be set-up if 9.6 Billion of us are going to live together on this planet, not on the extreme lives of Pop-stars, Fashion-models, Movie-stars, extremely wealthy people or corporate desire to increase growth and profits. We are definitely at the boundaries of what our planet can provide and we need to realise the magnitude of change this will bring upon us – not continue to “Look the other way”. It also means that we need to limit our “needs” to fit within the planetary boundaries – if not; the planet and our eco-systems will do it for us and most likely in an irreversible way. 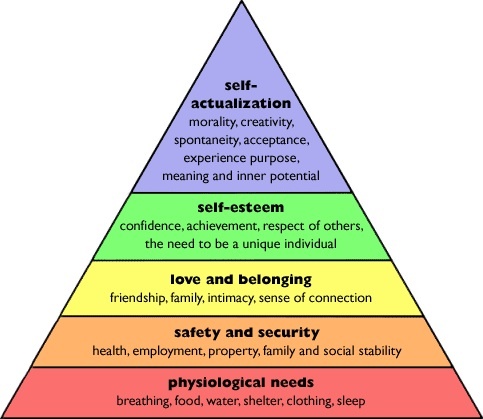 If we can realize the urgency and make sure that all the 9.6 billion people can fulfil the bottom half of the “Maslow-hierarchy” the upper half is left for us all to re-engineer, this time without the current western-society-mantra.